Emirates continues to streamline their fleet, with the refit of the Boeing 777-200LR (Long Range) marked as complete, whilst plotting an exit strategy for its classic Boeing 777-300 aircraft. Meanwhile, the Economy Class cabin went through a product refresh too, retaining the 3-4-3 seat layout. 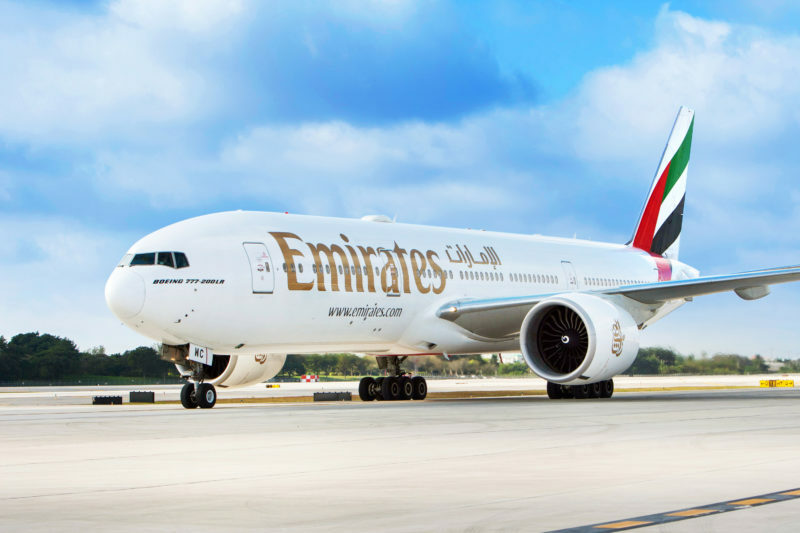 The planes took 35 days each to be refitted, for a strip and reconfiguration, at a cost of US$150 million The work was done in-house at Emirates Engineering’s facilities in Dubai. According to the airline, the project was completed three months ahead of schedule. With ten frames, the Emirates Boeing 777-200LR network is limited, serving Dubai to Fort Lauderdale, Santiago, Sao Paulo, and Adelaide as well as a few other destinations. However, some older frames aren’t getting the nice treatment, with Emirates in the process of retiring its oldest Boeing 777-300 aircraft (non-ER variants), with one frame remaining active (A6-EMX). The airline has indicated this is to be removed from commercial service shortly, leaving the Emirates Boeing fleet composed of Boeing 777-300ER and the Boeing 777-200LR aircraft. It’s not just the Boeing 777-300 classics that are going, but older Boeing 777-300ER aircraft being lined up for withdrawal, with seven being retired this year. Meanwhile, Emirates will continue to take delivery of Airbus A380 aircraft – with six new frames to be delivered. With Emirates future focusing beyond the Airbus A380, with the Boeing 777X family and Airbus A350 family, there will surely be more changes to the fleet in the years ahead.